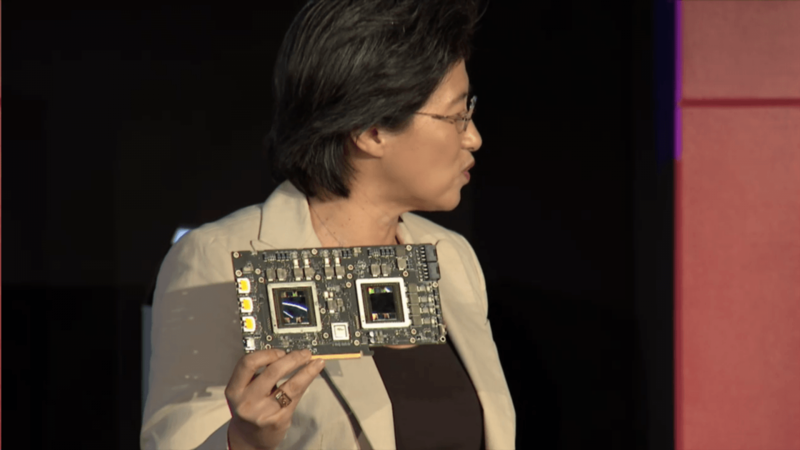 AMD CEO Lisa Su revealed the dual Fiji GPU card which will follow Radeon R9 Fury X and R9 Fury in upcoming months. No name, price or pacification was revealed. But we can see card has two 8pin power connecter and a PLX chip.